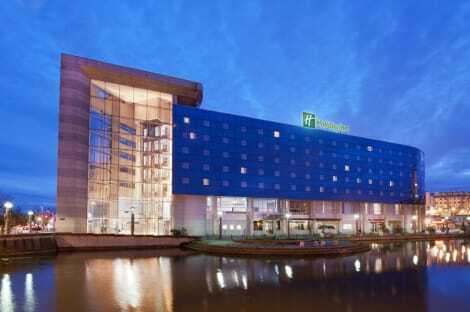 Welcome to the Holiday Inn Paris Marne la Vallée The Holiday Inn Paris Marne-la-Vallée hotel is a four-star establishment situated in Noisy-le-Grand, equidistant from the Disneyland Park and Paris, perfect for a double destination trip. 20 minutes from Paris, the hotel is easy to reach by RER A as we are only a 2-minute walk from the station. For a comfortable stay, the hotel welcomes you to one of its 192 family or executive rooms. Discover our new entirely renovated Open Lobby, which has been converted into various living spaces for any time of day. Relax and enjoy a cocktail in our Bar Lounge while the children play in the Kids Corner. 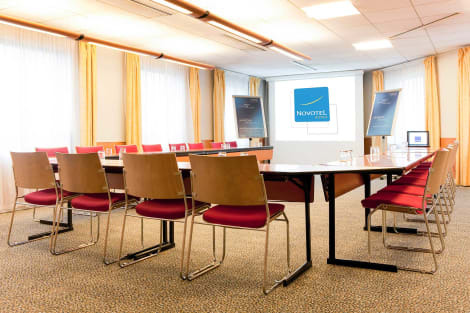 Share a convivial moment at our Social Table, organise your professional meetings or work in our e-corner. For refreshments, Food&More has fresh and natural French cuisine on the menu and Starbucksoffers pastries, delicious coffee and various sandwiches & salads. A genuine escape to nature inside the hotel: our terrace guarantees a calm and relaxed space thanks to its plant wall. Make yourself at home in one of the 161 air-conditioned rooms featuring flat-screen televisions. Complimentary wireless Internet access keeps you connected, and satellite programming is available for your entertainment. Private bathrooms with bathtubs or showers feature complimentary toiletries and hair dryers. Conveniences include phones and irons/ironing boards, and housekeeping is provided daily. With a stay at B&B Hôtel NOISY LE GRAND in Noisy-le-Grand, you'll be within a 15-minute drive of Val d'Europe Shopping Center and Parc Floral de Paris. This hotel is 9.4 mi (15.2 km) from AccorHotels Arena and 10.5 mi (16.9 km) from Opera Bastille. lastminute.com has a fantastic range of hotels in Noisy Le Grand, with everything from cheap hotels to luxurious five star accommodation available. We like to live up to our last minute name so remember you can book any one of our excellent Noisy Le Grand hotels up until midnight and stay the same night.